Celebrate a friend or loved one's little chip off the old block with this commemorative piece of wall art that honors their little bundle of joy. 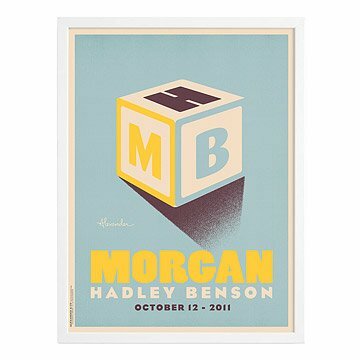 Designed by Chicago-based artist Alexander Doll, this nostalgic print hearkens back to the aesthetic of yesteryear with its sharp, sanserif typography, and a hand-sketched illustration of the classic, buildable children's toy, the block. The three exposed sides of this charming cube are personalized with the child's initials for an extra special nod the new babe. Alexander incorporates personal details, such as the child's name and his or her date of birth, to give each print a warm, personal touch. A sophisticated decoration for the little darling's nursery, this inspired gift celebrates the new arrival in ageless style. Printed in Ohio on archival paper using archival pigment inks. Celebrate a friend or loved one's little chip off the old block with this commemorative piece of wall art that honors their little bundle of joy.